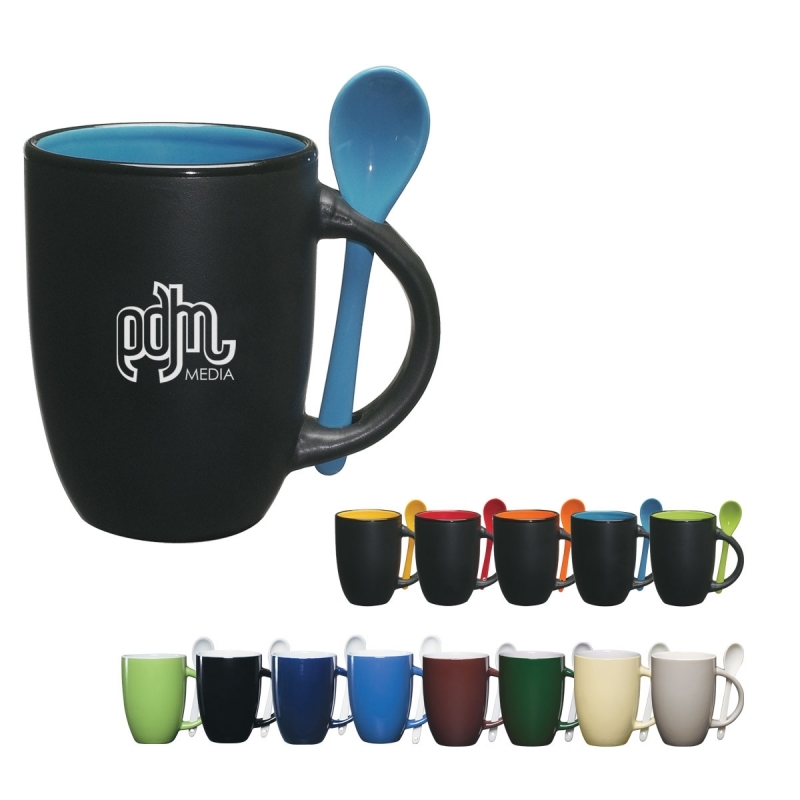 Personalized Soup Mugs with Spoon Custom Printed in Bulk or Blank. Promotional, Inexpensive. On Sale! Budget Prices in the USA and Canada. Wholesale advertising Soup Spoon Mugs on sale. Lowest cost in North America. Free Art Design. American Clients pay no taxes. Extra color or location: add $0.30 per color, per side (2 color maximum).